Hybrid solar systems combines the best from grid-tied and off-grid solar systems. These systems can either be described as off-grid solar with utility backup power, or grid-tied solar with extra battery storage. 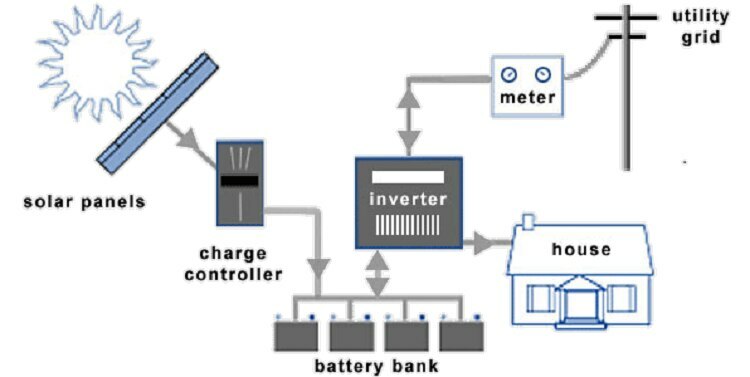 Hybrid solar systems utilize batter-based grid-tie inverters. These devices combine can draw electrical power to and from battery banks, as well as synchronize with the utility grid. >This system take advantage of changes in the utility electricity rates throughout the day >This system is quite costlier than on-grid and less expensive than off-grid.